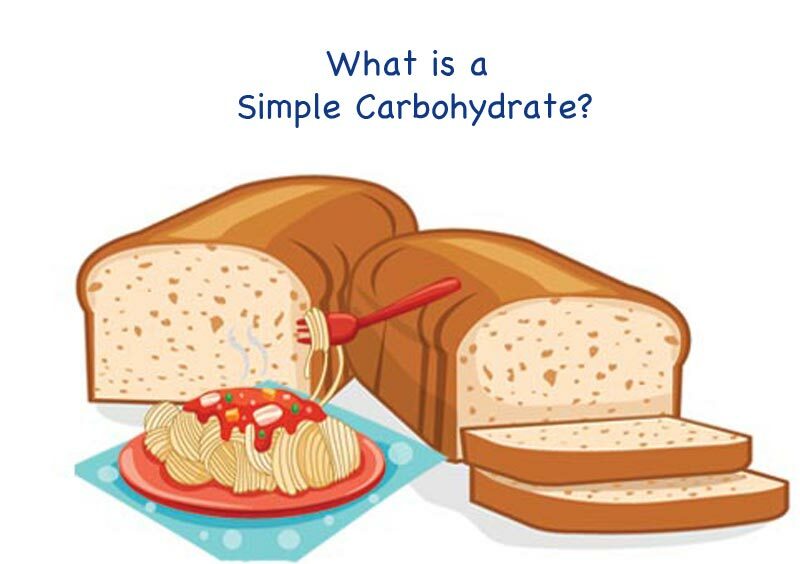 What is a simple carbohydrate? When it comes to carbohydrates it can be confusing, right? Yep, the carbohydrate category of foods is the most difficult one to get your head around. But as a diabetic it is necessary to understand the different types of carbohydrates so you can keep your blood sugar in a healthy range. So let's delve into simple carbs and learn more about it. 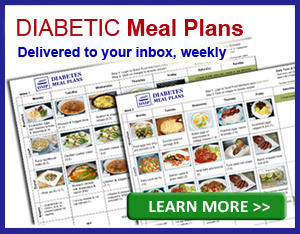 While you're here, Click Here to Subscribe to DMP's Weekly Nutriton Newsletter. All types of carbohydrates provide energy to the body in the form of glucose. Glucose is also known as sugar and carbs as well. That’s why you’ll often hear people talk about sugar even when they might be talking about things like rice or bread. Or they might refer to them as carbs. Glucose/ sugar / carbs are essentially all the same thing. Simple carbs are short chains of sugars, so in nutrition terms these are called monosaccahrides, which include glucose, fructose and galactose – these are just a single chain chemical structure, and disaccharides, which include sucrose, lactose and maltose – disaccharides have a double sugar chain chemical structure. You see, it's the chemical structure that makes all the difference to how fast a carbohydrate is absorbed into the bloodstream. As a diabetic you may already be aware that when you eat carbohydrates your blood sugar rises, and if you didn't know that, you do now. Other things also influence blood sugar, but carbohydrates have the single biggest influence on blood sugar levels, and both the quantity of carbs and the type of carbs you eat are very important. Our body is designed to keep our blood sugar within a tight range that’s best for our health. So when our blood sugar rises, this stimulates the pancreas to release insulin, and insulin helps the body to deal with the carbs and bring the blood sugar down. That's the simple process of blood sugar regulation. We're not going to go into the whole concept of insulin and blood sugar now, we’ll leave that until another time. 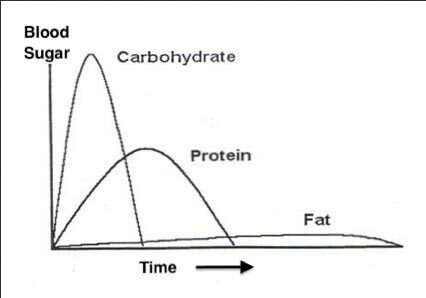 The important thing to remember here is that when you eat carbs your blood sugar rises, more than when you eat other nutrients like protein and fat, and this activates insulin, but your blood sugar rises in varying response depending on the type and the amount of carbohydrate you eat. So let's get back to simple carbohydrates. So when you eat simple carbs, they quickly absorb across the small intestine and into your bloodstream. You’ve probably felt the effects of eating some chocolate or having a soda. Simple sugar is often what we reach for to get fast energy, and that’s why it does give us fast energy, because it uptakes quickly into the bloodstream quickly to provide that immediate energy. Although that might sound like a good thing, these are the type of carbohydrates you want to steer clear of because they are going to make it difficult for you to regulate blood sugar and A1C levels. Remember, our body likes to keep our blood sugar in a tight range that’s best for our health. So overall what you need to know about simple carbs is that they are the type of carbohydrate you want to avoid or at least eat in small portions and only occasionally. But let's get down to the more practical stuff shall we. As you'll see from this list, we can find simple carb sources around us everywhere, which is part of our rapid health decline. Our bodies simply aren't designed to consume them in the quantities we do. It might sound like the end of the world to hear so many foods you may enjoy on this list. But there are ALWAYS options and alternatives, one's much healthier for us to eat and we'll be covering these in a future post. It's best to stay away from processed and packaged foods as much as possible, but let's take a look at some food labels together so you can learn how to decode them. This product contains several simple carbohydrate sources, as would be expected from a confectionary. Sugar, wheat glucose syrup, thickener (wheat starch), apple juice concentrate – these are all simple carbs. So this is one of those products best avoided. 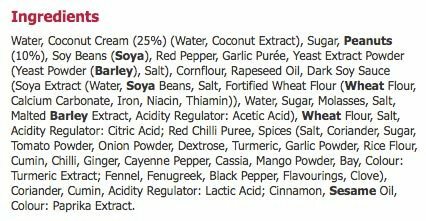 This is the ingredients from Trader Joes peanut satay sauce. Overall this is a reasonable choice as far as peanut satay's go (some have loads of sugar). This one has got honey and a little sugar in the fish sauce, but it's not loaded with sugars and is just 2 g carbs per serve. Compare the Trader Joes above to this Sainsbury's peanut satay and we will notice a BIG difference. Look at the long line of ingredients! It is double the carb count at 4.8 g carbs per quarter pot. And for simple sugars we have sugar, cornflour, fortified wheat flour, wheat flour, more sugar, molasses, malted barley extract, more wheat flour, dextrose, rice flour, mango powder – these are all different names for simple sugars/ carbs. 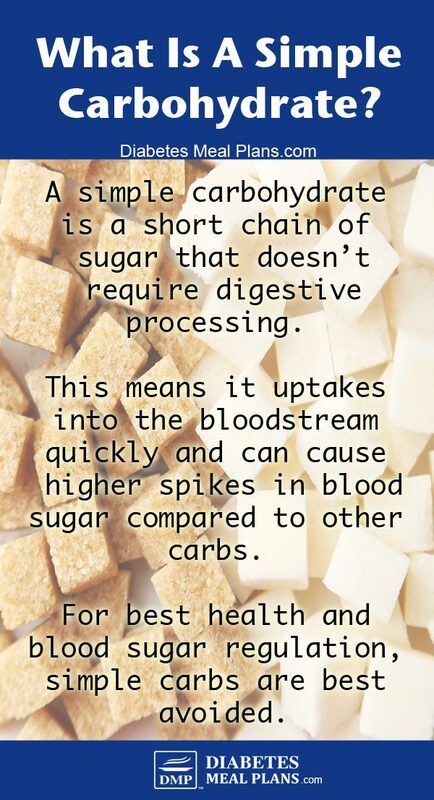 A simple carbohydrate is a short chain of sugar that doesn't require digestive processing. This means it uptakes into the bloodstream quickly and can cause higher spikes in blood sugar compared to other carbs. For best health and blood sugar regulation, simple carbs are best avoided. Be sure to, Click Here to Subscribe to DMP's Weekly Nutriton Newsletter. As a type 2 diabetic who has been told I have fatty liver years ago, I find the biggest waste of time is “some” diabetic education. In my experience I have been thru diabetic nutrition class which only taught me to read labels. I did not find it very helpful as I am not a friend with the kitchen. I hate to think about meal planning. I am an outside person. Therefore to get anything out of it, I would need this type info flowed by help creating a meal plan for a month. My other issue is I do not like a lot of things in many of the apps offered at alternates. There are so many untruths out that it is difficult to even read about it. Which theory do you start with? Which plan is right? I have a Dr who is a long time research reading family practitioner who had dug deep into research and come of with what he calls WEE protocol (Dr Aukerman out of Lima, Oh), who has a list of foods that follow his like of thinking and I believe he is on something good; but even this line does not focus on diabetes. Although I could be wrong about that as he is all about decreasing long chain fatty acids, inflamitory foods, etc. I feel better when I eat foods on his list. Again, I get back to i get very stressed thinking about the kitchen. I need a month menus of all foods I will eat, grocery lists, and prep instructions then maybe I can be successful. How is it someone who hates the kitchen and meal planning is diabetic? Simple: for same reason. (Insert head bang). Although we do not provide a personalized meal planning service at this time, there are people who do so it may be wise to seek out somebody like that who can help. Thanks for the information on carbohydrates. I have been keeping a close routine on eating low carbohydrate foods + I walk my big dog every day when it suits. I use some of the keto recipes and make my own keto bread. I have what is called mitochondrial diabetes which is maternally inherited. Having four sisters we are all diabetic and use insulin. This inherited diabetes causes deafness also and we are all of slim build. Because of my choice in carbs my sugars maintain a steady 5 to 6 level. If I have a low level I eat and orange or put a small tsp of sugar in my tea.etc. Hi,how are you doing?what recipes can i make at home that have low glycemic in them to lower my blood sugar that i can freeze after i cook the recipes?I have had type 2 diabetes since january 2012 and i would like to portion out the healthy low glycemic meal recipes in containers to put in the fridgerator when i go pet sitting. I have a lot of very healthy smoothie recipes that actually lower my blood sugar and i go on my daily walks as long as the weather and temperatures are nice and warm and hot but unfortunately i have a weak and compromised immunity from being born three months premature 53 years ago,and as a very young child i got vetiligo which is an autoimune desease that still affects my immunity so i get very sick easily and in and out of the hospital a lot.so i can’t stay in the sun a lot because i don’t have any protective pigaments in my skin so i have to stay covered up all of the time. Going up and down the stairs is very hard on my asthma and osteoarthritis which has gotten worse since january 2012 after i almost died from having five severe illnesses in my body that affected all of my health issues and i had to spend 34 days in the hospital in edmonton,which also took me 2 1/2 months of recovery at home while taking strong meds along with my other regular meds to get back to my health. 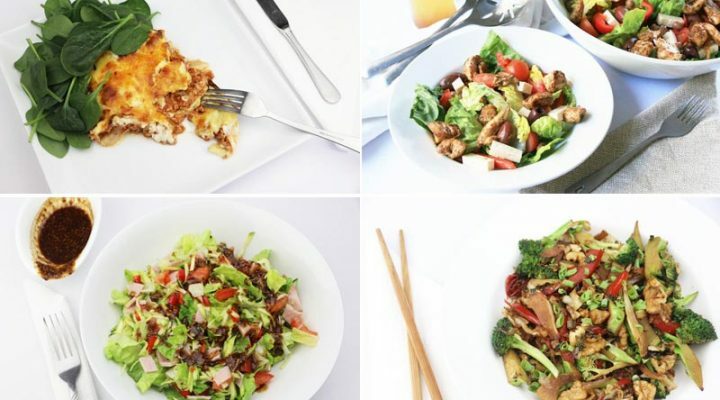 It is important for me to find healthy low glycemic recipes that will lower my blood sugar on a daily basis so that i can naturally lower my blood sugar instead of upping my insulin to lower my blood sugar and i am no longer taking medformin pills because i was having very strong side affects while i was taking the pills. Walking on a daily basis has lowered my blood sugar levels but it goes up a lot when i am sick so i just up my insulin a little bit and try to eat my meals on a regular basis and i drink glucerna more often when i am sick until i am better enough to make my regular daily meals.for now i am healthy and eat three times a day with healthy snacks and i drink healthy herbal teas and water. Have a nice day and evening jedha and i look forward to your reply soon. Kim, looking for low glycemic index (GI) recipes is a great start, but at DMP we focus much more on the total carbohydrate content versus the glycemic index value in order to help our readers acheive the best results. Give this article a read for a better understanding of the drawbacks of just monitoring GI index. 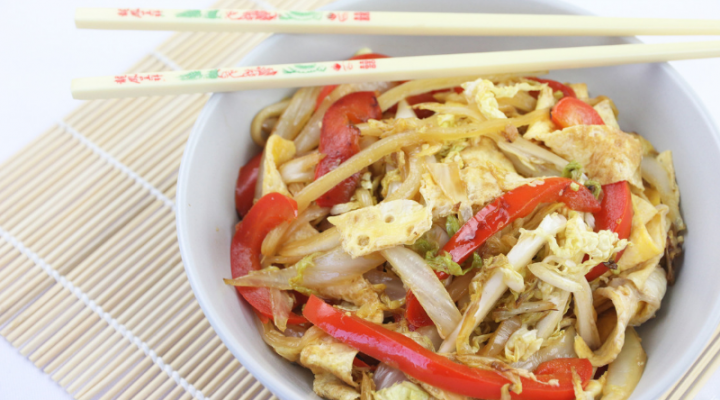 Here are 10 of our favorite low carb meals– many of which can either be prepared ahead and frozen, or at least partially prepped in advance to make your job a little easier when you are pet sitting. You may also be interested in becoming a DMP member and signing up for weekly meal plans if you’re looking for even more meal ideas! So what type of pasta has a low glycemic index? Some say it has a low glycemic index and others say not to eat it. I have several diabetic cookbooks and they all have recipes with white sugar and white flour so I’m confused as to what to believe. Please help with this question, What can I really eat? Unfortunately there is a lot of misinformation out there in regards to the best foods for diabetes— based on the research we’ve reviewed, we do not recommend high carb/high sugar foods such as pasta, nor white sugar or white flour. 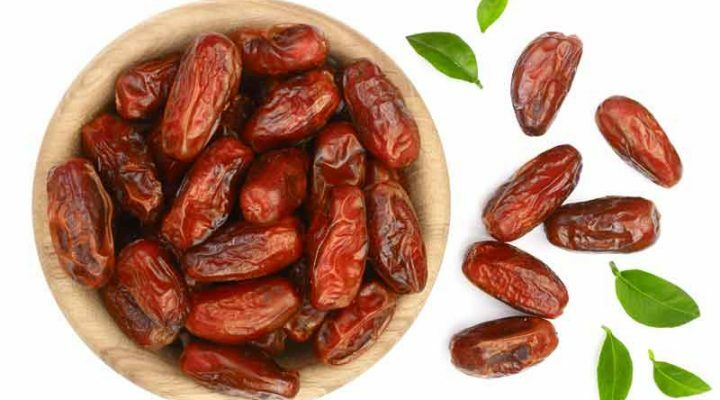 Carbohydrates at the food that most impact your blood glucose levels, meaning eating these types of high carb foods will send your blood sugar soaring. Give this article a read- we include many pasta substitutions, some can be purchased in store and others are best purchased on line. Let us know if you give any of them a try!